Facebook | All Things ICT! Are you interested in flattening your classroom walls & creating a global classroom? Earlier this year I becam e aware of a conversation on Twitter (where else?) around the possibility of a global collaboration project. I followed it with great interest and saw the idea come to fruition. Deb Frazier (@frazierde) from the USA came up with the project idea and with the help of Michael Graffin (@mgraffin) from Australia, began co-ordinating a small project which has now grown to huge proportions! I was very interested and when the appeal for help when out, I quickly got involved. I set up the project’s Facebook group and am now also a co-contributor on the Global Classroom Blog. Please go over there and take a look. Over the next year, a range of projects, cultural exchanges, and global conversations involving over 110 teachers (2000+ students) from 25 countries across 6 continents will be hosted. These numbers grow almost daily! There are 3 groups of participants i.e. Grades K-3, Grades 4-6 and Grades 7-12 (ages 5 to 18). 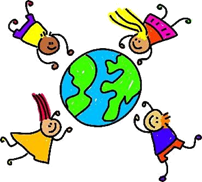 Wouldn’t it be wonderful if your class could take part in one of these global projects? All these projects and more, run until June next year, so you don’t have to do anything right now – the school year is coming to an end, BUT you could start the New Year off with a “bang”!! Some of these projects are easy and can run in the “background” while you continue with your year’s work, but they are fun and so educational – your class could be talking to and communicating with kids from New Zealand, Australia, the USA or the UK (to mention only a few). Please click on the links in the blog and take a look at what teachers around the world are doing! For more information, please go to the project wiki – and while you’re there, sign up for a project! Moral dilemma or just old fashioned? I’m on a bit of a mission at the moment and forgive me if this sounds like a rant, because it’s just how I feel about the topic of underage use of social media services and communication tools such as Facebook, Mxit, WhatsApp and other such services. I work in a Senior Primary school where most of the children are between 10 and 12 years of age. A large number of these children (I feel a survey coming on, since I do not like to speculate on statistics) are using Facebook regularly and they also use MXit or more recently WhatsApp on their cell phones. (I know of Grade 4 children using WhatsApp). They also access You Tube regularly and a few of them even post videos on You Tube. So what’s my point? ALL these service have age restrictions on them and 99% of our children are too young to be using them! That raises the question then, are these children using these services without their parents’ knowledge or even worse WITH their parents’ knowledge? 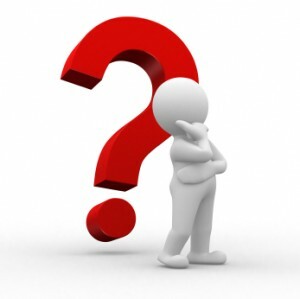 Don’t get me wrong – I am an avid user of social media. I love Facebook and cannot live without Twitter. I know that MXit has changed the face of communication in South Africa and that WhatsApp is rapidly following suit. It is not the services that I have a problem with – my problem is that I am a person who works by the book. I believe rules are put in place for a reason and if they are there to protect children, why on earth would we want to break them? I can only think that ignorance is the problem. Our parents just don’t know enough about the ins and outs of services they allow their children to make use of. And what exactly are we teaching our children if we allow them to “bend” the rules by altering their birth dates? If the parents allow them this now, what else are they going to allow in the future? Where do they draw the moral line? Are these parents not bowing to the very peer pressure they are trying to guard their children against?? I’d really appreciate comments on this post. Am I missing the boat somewhere, or am I just old fashioned? 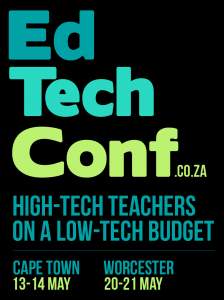 On this past Friday and Saturday morning I and two of my colleagues (@folklind and @juanita_o) attended the first ever EdTechConf held in Cape Town. So often one attends a conference and walks away feeling that your time has been wasted or that it could have been shorter or even that you got nothing out of it. That was not the case for this conference – in short, it was nothing but excellent. The talk on Technophobic Teachers by Arthur Preston (@artpreston) was spot on and very humorous! We can all identify with members of his Technophobe family in our schools, but as he rightly said – there is help at hand! The panel discussion titled “You put WHAT on Facebook? !” – this was eye-opening and confirmed many of the thoughts and opinions I have on the topic of student-teacher relationships on Facebook. It also highlighted many legal aspects we need to take into account. The introduction by Gavin Keller (@gavinkeller) was serious but hilarious at the same time. Much food for thought! The many people I met, especially those I had been following on Twitter. How lovely it was to meet them face-to-face! I also expanded my PLN which is why I was there in the first place. The wonderful tools and resources we were given to take away and explore at our leisure, including a flash drive full of resources and a wonderful session by Maggie Verster (@maggiev) on how to bookmark all these resources in ONE place. I look forward to ETC 2012 and I hope to take some of my teacher colleagues with me next time. This conference is not just for the tech geeks and ICT managers. It is for the teachers who work at ground level, in the classrooms. They are the ones who need to be there, as they have the most to gain. A word of thanks to the organisers Tim Keller and Art Preston, as well as the team at The International School of Cape Town, for a very memorable event. Anyone interested in reading about the conference, log in to Twitter and search for #edtechconf. I am an avid “Facebooker”. There is hardly a day that I do not pop in to check my news feed and see what’s happening to my “Friends”. Quite often I post a status message, but not always – just when I feel like it. Unfortunately though, I pop in a for a “quick” look and before I know it I’ve lost 30 minutes or more, reading all the status updates, checking new photos added, ‘liking’ pages and more. The reality of it is that Facebook is a time thief – 10 minutes turns into an hour in the blink of an eye, stealing what could be productive time; time which could have been put to far better use, if one had to be honest, that is. It is also a fantastic social networking tool and has enabled me to connect with people I haven’t seen or spoken to in 30 years and it is for that very reason that I can’t resist it. However, neither of the above is why I am writing this post today. I have just come across a post (thanks to Twitter – another one of my “vices”), by Vicki Davis or @coolcatteacher which touches on aspects of Facebook which I have brought to the attention of our parents and our staff – the issues of ‘friending’ our own children and the ‘friending ‘of our students. Before I carry on, let me say that the Internet is NOT and does not have to be the huge ogre that it is made out to be. It is an awesome resource which, when used wisely and responsibly, is the most amazing tool available to children adults alike. It is our duty as parents and teachers to give our children the tools to make use of this wonderful resource in a safe and responsible way. However, the consequences, when it is NOT used responsibly or in an unmonitored manner, can be very nasty indeed. Back to Vicki’s post. It is an excellent read and provides some excellent insight into the Friend settings on Facebook, many of which most people are not aware. She also touches on the issue of underage Facebook users, which is something close to my heart. I’m a real stickler for following rules as I believe that rules are put in place for a reason. If you may only be on Facebook from the age of 13, then so be it. That is why my own daughter does not have a Facebook profile – she’s only 12, and I will cross that bridge when she turns 13. As for parents who allow their underage children on Facebook, well I have always advocated that these parents should ‘friend’ their children with the idea that they can keep an eye on their children’s Facebook activity as a protective measure. Vicki’s post has put a completely new spin on this and gives excellent reasons as to why this is possibly not a great idea. Vicki also addresses the issue of teachers ‘friending’ their students. I do not approve of this, as I feel it is unprofessional, especially at primary school level when there is a great difference between teacher and child in terms of interests and experience, not to mention age. Do your students really need to know what you did last weekend or what your friends have to say about you? I think not, but that is my personal opinion entirely.